Interesting. I convinced my cousin to buy a Bassstation 2 a couple of years ago thinking I could live vicariously through his synth, but we have since had a falling out, so I've lost my BS2 The overlay mode is a great tool, almost like multitimbre, but still mono (despite Mr. Focusvation saying "making it essentially a two-voice synth", it's still a monosynth and every note chokes the last). If you thought the 2.5 upgrade was good a while back the new one is mega. In AFX mode you can have different patches on each of the 25 keys - really good drums already programmed into banks 1-4. 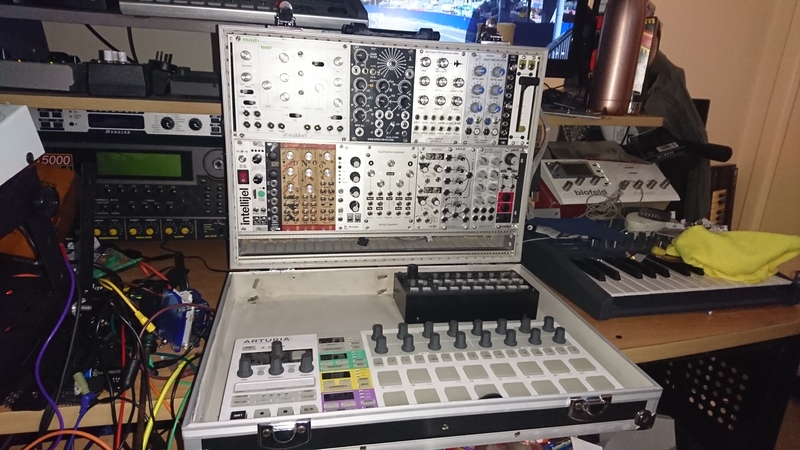 Well it can now play duophonically but even better than that you can now detune the sub from osc one which makes it 3 osc mono - an that sounds great.